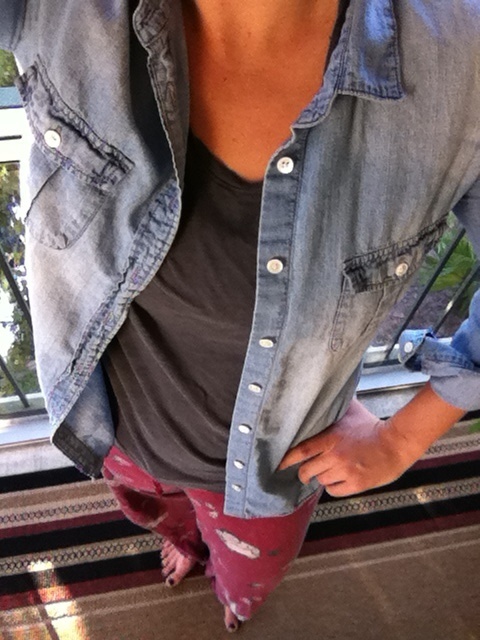 Another casual Sunday indoors means mixing my chambray with lounge-wear. On day 19 of the chambray challenge, that means... my sushi pajama pants. Welcoming yet another fall morning on my porch and staying home with my boys.